Once staples of Discovery, these two models are beginning to show their age in recent years. 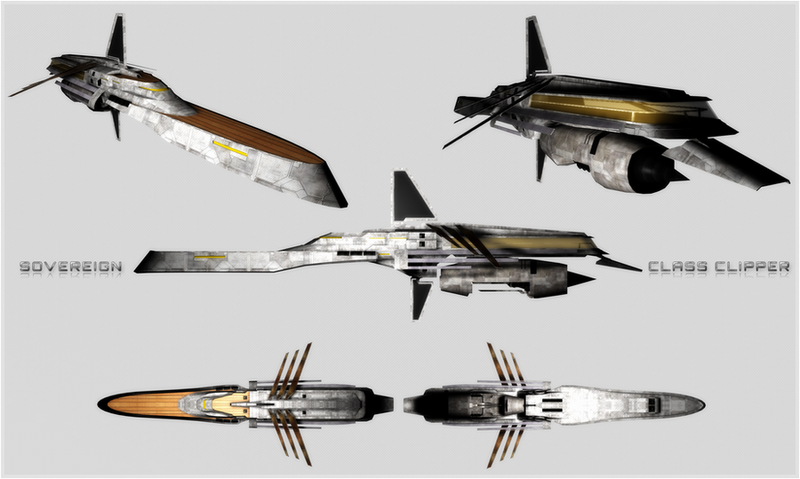 With the recent use of a (modified) ship from Kuze's model pack replacing the Wild Scorpion gunboat, we've decided to introduce some other models done by Kuze as well, as many of them are of a high quality and free to use so long as the geometry of the model itself is not altered, meaning we can change the scale, hardpoints, and textures at our leisure. The development team couldn't decide which of these two older ships should receive the this model from Kuze's model pack, and so we decided to put it to a community vote. The poll will close in a week's time, after which the new model will be introduced. Please no suggestions to include this model as a new ship, as Discovery is quite large already. We are looking at building upwards at the moment, not outwards. VHFs should always take priority as they are superiority fighters. The current Kingfisher is fine. Hubba hubba! That's one sleek little package! I'd be for replacing the Falchion. Kuze's model presented here feels like the Kingfisher evolved into something deadlier, so the two would look nice side by side in-game. The Falchion is also pretty blocky and... Felt like flying a giant bulls eye target. Once this voting phase is over, depending on how it goes, perhaps we ought to look into replacing the Broadsword's model, as well? 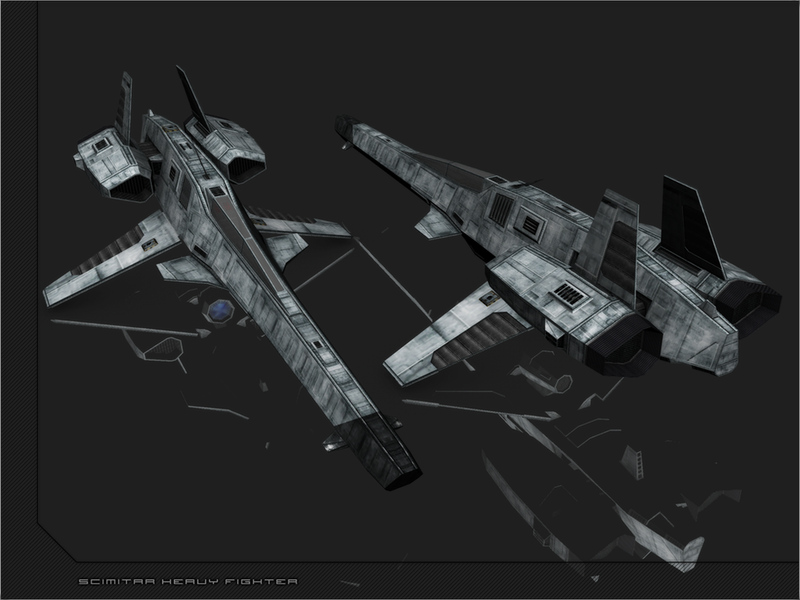 As the Broadsword is both ingame and in lore a modified Falchion, I'd prefer to modify the Falchion's replacement with some beefy intakes/engines/missile pods in a similar manner to the current model. This will require Kuze's permission however, which may take some time and may or may not happen at all. I would prefer links to 3d models first before voting (at least Kuze's model) if possible. Well, tough, because I'm not about to take someone else's model which is not included as part of the mod and dump it on my p3d account. That's not something we do. (06-13-2018, 02:04 PM)Durandal Wrote: [ -> ] As the Broadsword is both ingame and in lore a modified Falchion, I'd prefer to modify the Falchion's replacement with some beefy intakes/engines/missile pods in a similar manner to the current model. This will require Kuze's permission however, which may take some time and may or may not happen at all. That makes sense, and I kinda figured it might be a bit of a task to contact Kuze regarding possibly taking one of his models and tweaking it. I always thought the design concept of the Falchion/Broadsword pair of ships was neat, just not perfect. It would be awesome to see new models for both ships, but assuming worst case scenario and Kuze cannot be reached/declines the request to tweak his model.. Well, lemme not get ahead of myself, here. One step at a time, yeah? Edit: I don't suppose either replacement could incorporate two center mounted guns so that 3/3 deb/hull loadouts remain symmetrical? Most ships like that are factional, or in the case of the Saishi, not a VHF. That's an interesting point, but I mean... look at it. There isn't any room for a single centered gun mount, much less two. I could have a look at some of other civilian VHFs and see what can be done about that, because I'd rather like the option as well. I actually havent seen any of Kuze's work in a long time but this is one of the two of his work that I loved the most. This and his Clipper ship, which I think is a perfect Democritus replacement.